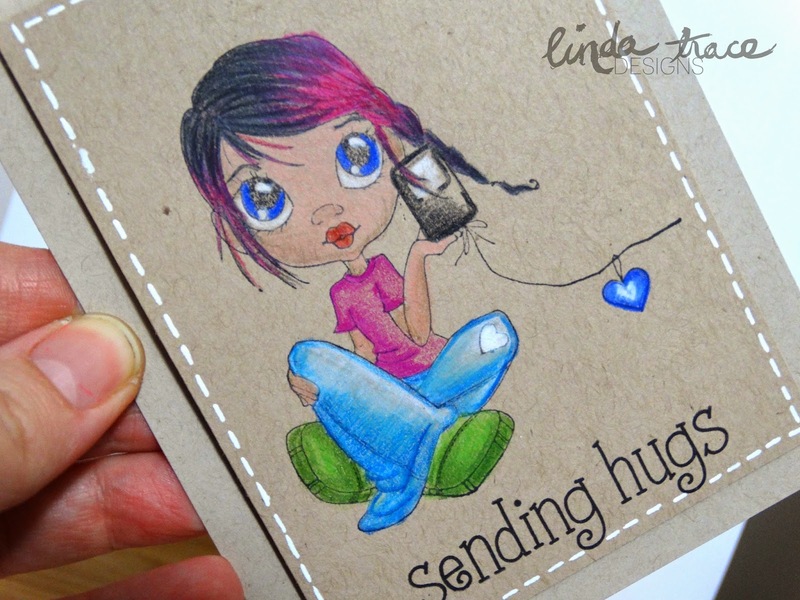 LINDA TRACE DESIGNS: Saturated Canary: colouring on kraft! I'm back with another card I whipped up while 'playing along' with the Kit and Clowder crafty weekend event on Facebook! I was SO happy with how this turned out. I don't think I want to colour on anything but kraft card stock, ever EVER again. I just love the effect. I'm always surprised at how bright and vibrant the colour turns out. I'm thinking I might like to try colouring on black card stock. I'm curious to know if it works as well as the kraft--have any of you ever tried to do that? What other interesting mediums or card stocks have you used? I'd love to hear. I'll see you again soon! I've got lots more to share. Oh WOW! LOVE this :) What kind of pencils did you use and did you blend them with something after colouring? © LINDA TRACE DESIGNS: Saturated Canary: colouring on kraft!